Living in Vancouver means you’ve been to Seattle lots. It’s a 2.5-hour drive away and it’s the perfect destination for a quick trip out the country. 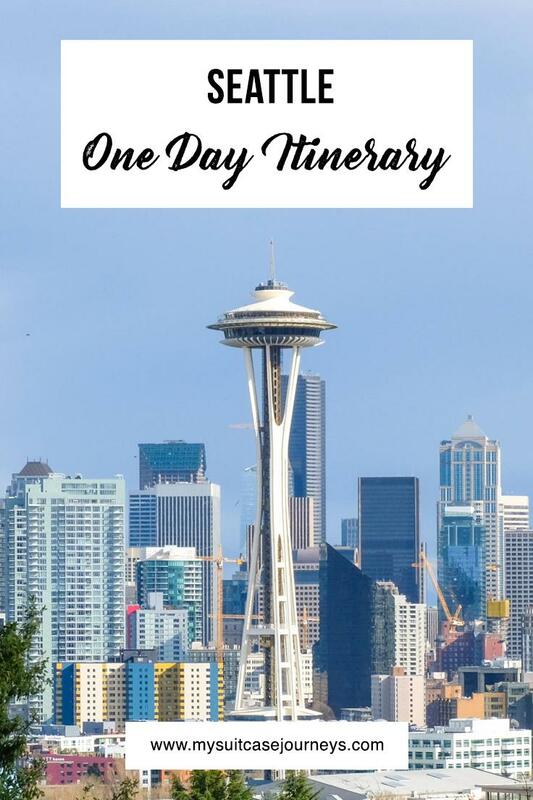 I myself have been so many times that I’ve lost count so without further ado, here are the top activities I recommend for a fun and exciting one day in Seattle. Whether you are driving or flying in, I suggest starting the day at Pike Place Market. On weekends especially, you get to witness the exuberance of the farmers market. 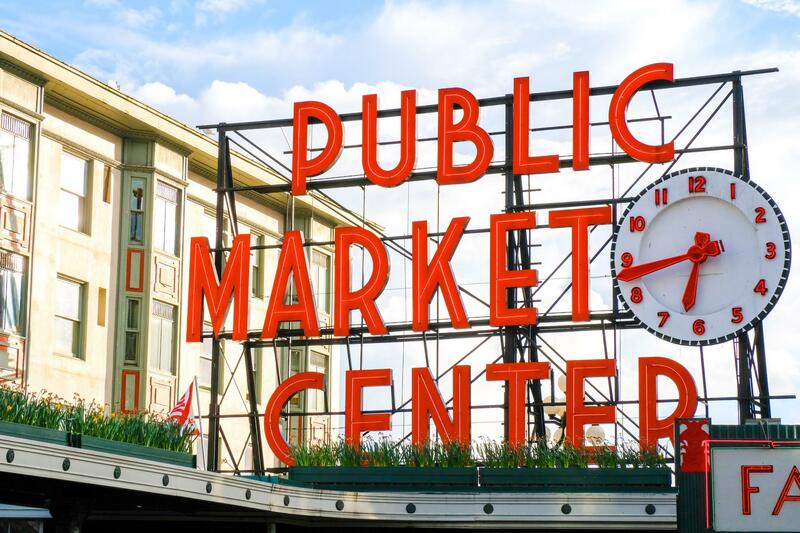 From fresh seafood of the Pacific Northwest and Alaskan waters to unique, handcrafted art, Pike Place Market is full of local flavors and delightful surprises. 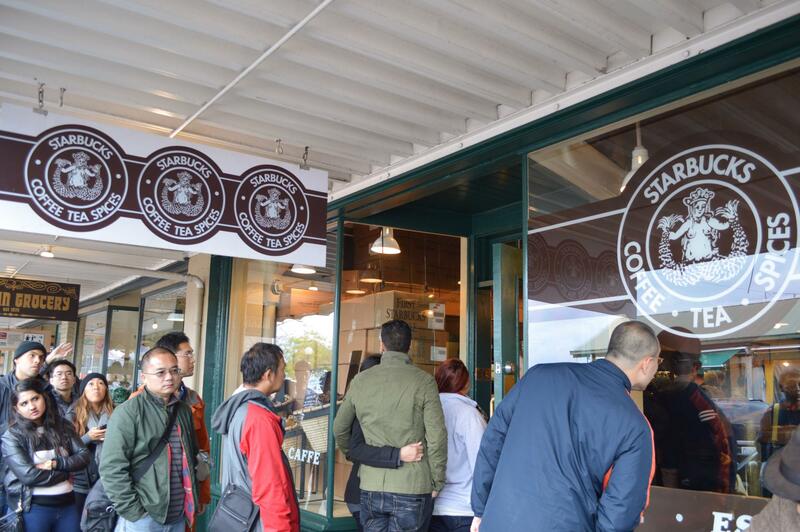 Aside from the farmers market, a big attraction here is the Original Starbucks. Established in 1971, this is the first ever Starbucks branch to have opened (although technically the café was originally located elsewhere and only moved here in ~1976). I’m not a coffee addict by any means and the only thing I ever order at Starbucks really is a grande green tea latte so I didn’t want to waste my time waiting in line. I do hear the coffee here tastes a lot better, however, so if you’re up for the wait, by all means go for it. Now one thing I hate about Pike Place Market is linesssss. There are just queues and queues of people everywhere that even to this day, I haven’t tried much of the famous “must-eats” here because heck ain’t nobody got time for that! 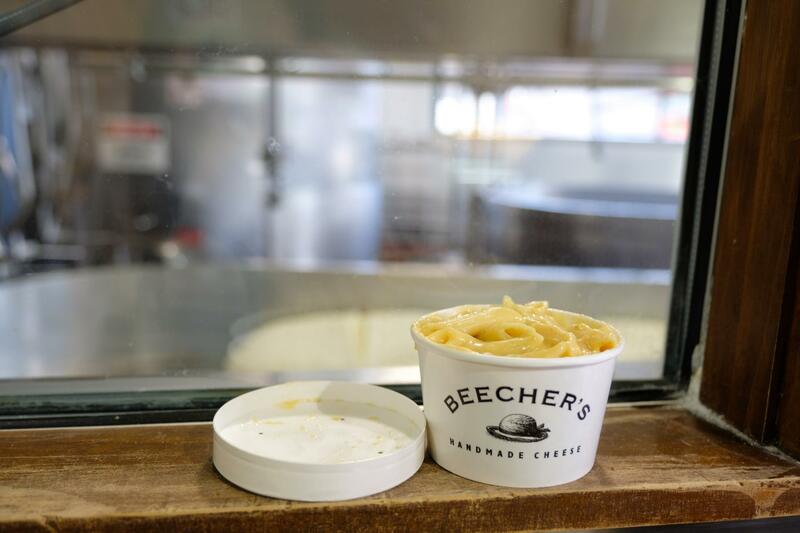 One of the things I did try was Beecher’s World’s Best Mac and Cheese. 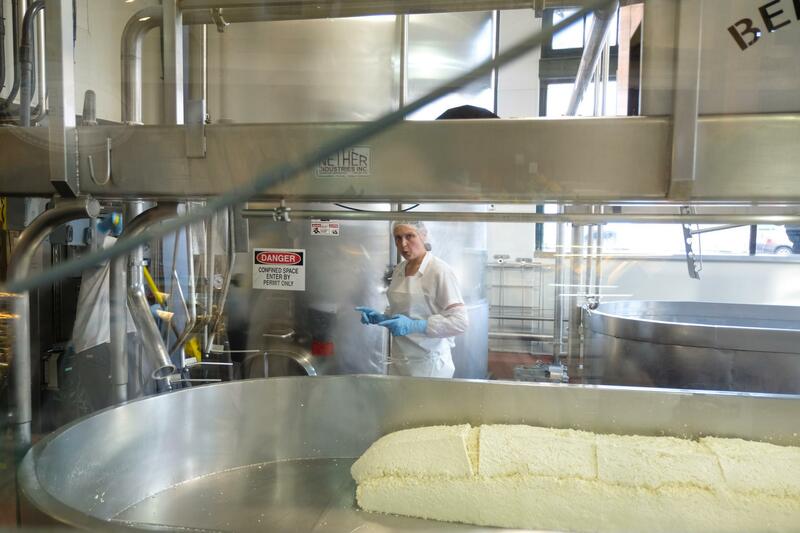 The cheese here are handmade and you can also watch the creation process through their display windows. For me though, whenever something gets hyped up, it loses its charms. 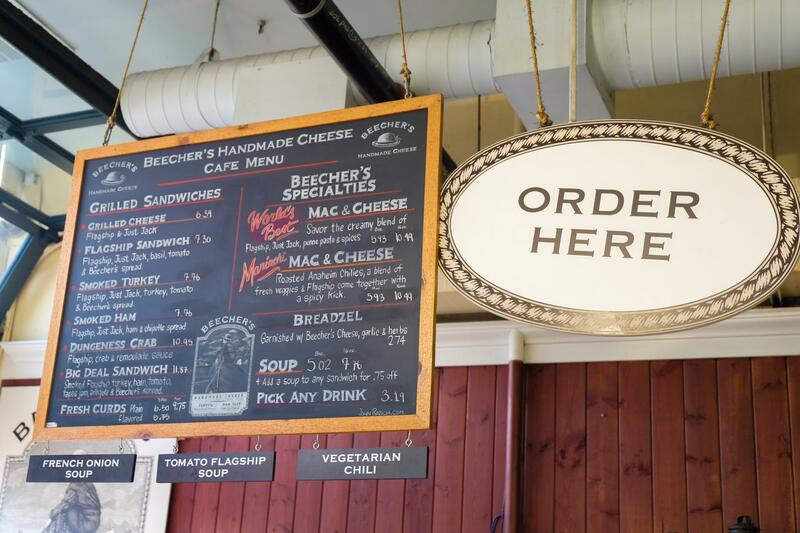 We came on one of the rare occurrences that there were no lines and yes, it was creamy and delicious and had that special kick from the Monterey Jack, but cheese on top of anything tastes bomb – that’s a given. No matter how fancy you make the dish to be, mac and cheese is mac and cheese. Is it worth the wait? Meh. However, if there are no lines, definitely do give it a try as it’s a very cool experience watching their behind the scenes. Another popular point of interest is Gum Wall by the Market Theater. Absolutely disgusting and you can even smell that pungent bubble gum scent standing a meter away from it but it’s a Seattle must. It’s like going to New York and not seeing Times Square or the Statue of Liberty. So you’ve been walking around the whole morning and your stomach is starting to growl. 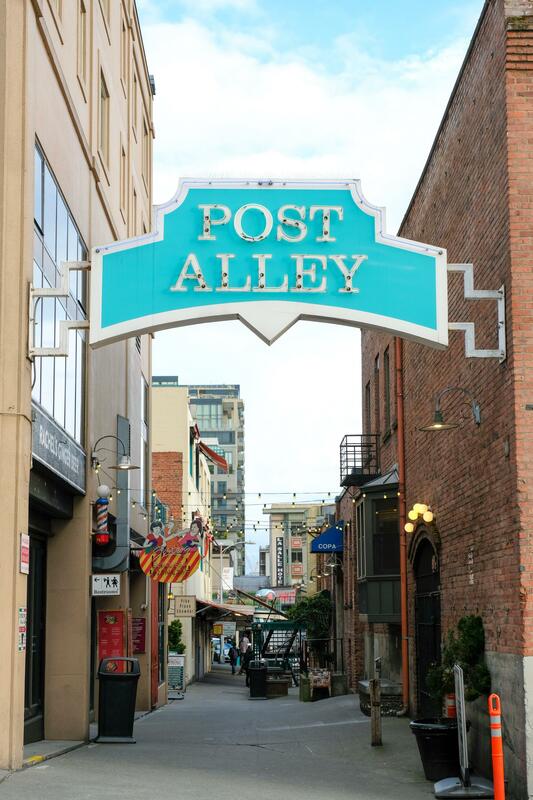 Post Alley is your place to go for lunch. There are a ton of restaurants to pick from but my favorite is definitely Pink Door. 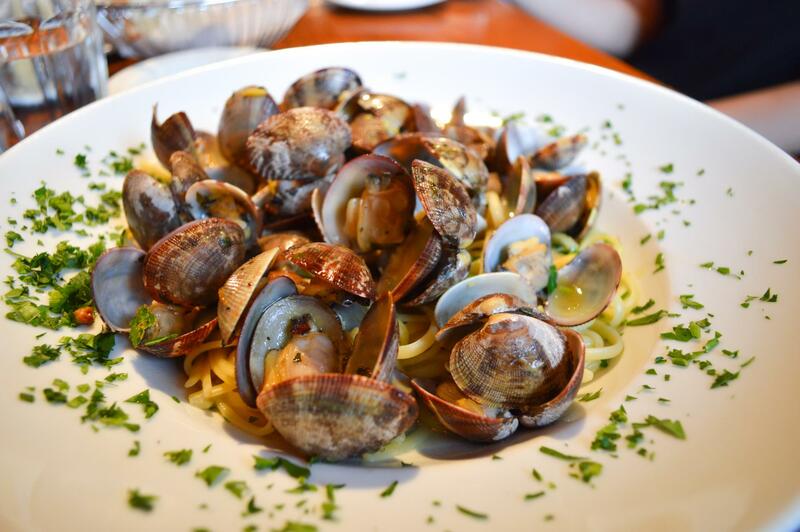 Linguine Alle Vongole – baby clams, pancetta, garlic chilis, and white wine linguine. 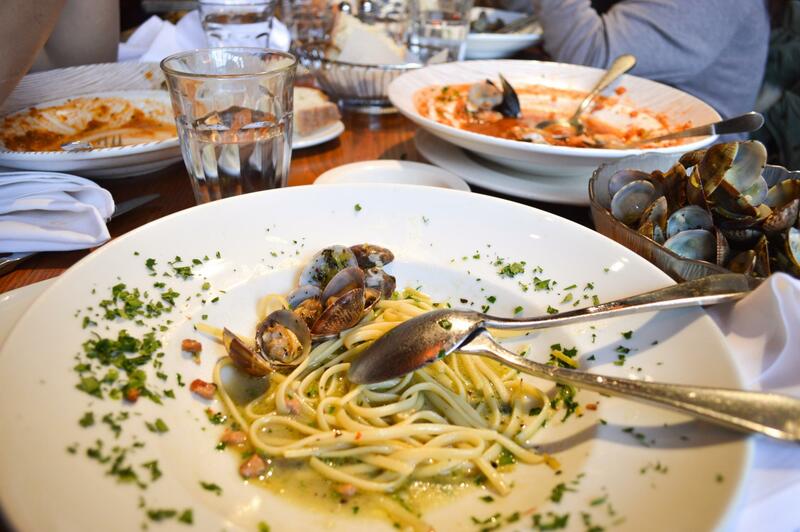 It’s a little Italian restaurant that’s somewhat tucked away and hard to find but the food here is phenomenal. Great ambiance as well and overall just a hidden gem. 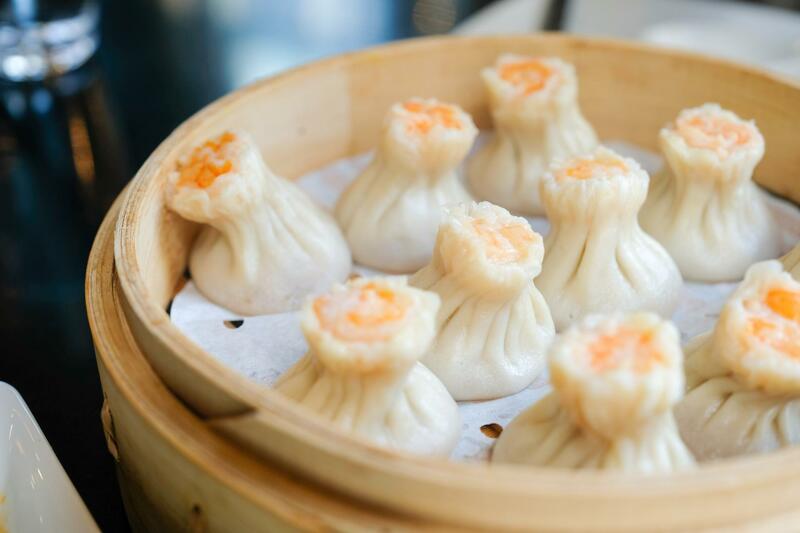 If Italian’s not your jam or you’re simply looking to try something different, Din Tai Fung is where it’s at. 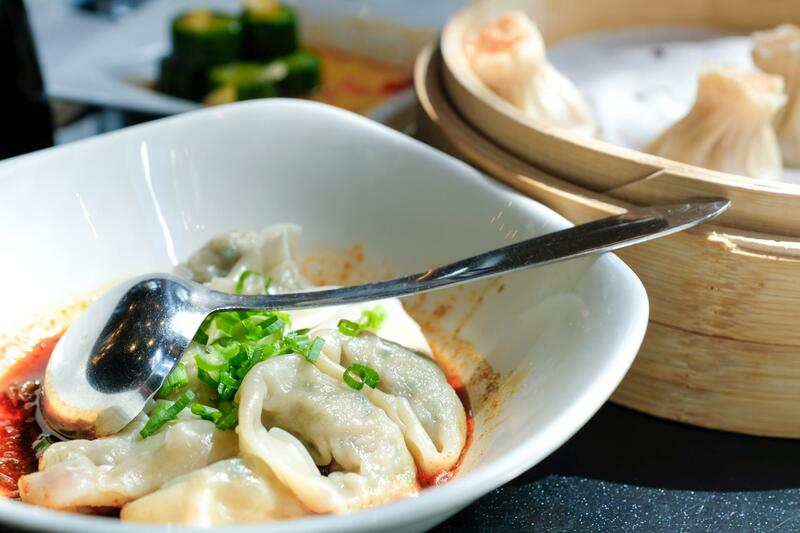 You got your traditional pork xiao long bao, shrimp and pork shao mai, and vegetable and pork wontons with spicy sauce. Originating from Taiwan (shoutout to my mother land), this place is famous for its xiao long baos (soup dumplings). 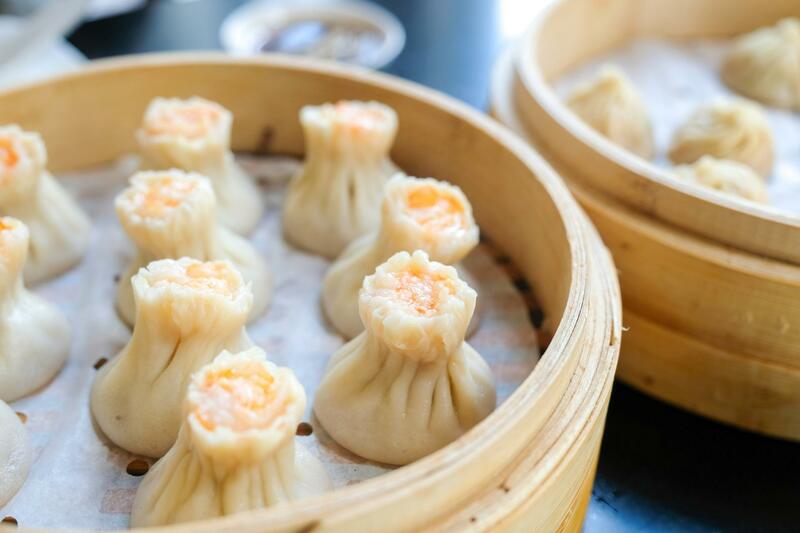 Unlike regular dumplings, the moment you bite into these bad boys, the soup oozes out and you’re hit with these explosive flavors. They really can’t be described but if you’ve never had one of these hot, steaming buns, you haven’t been living I’m telling ya. Aside from dining at Din Tai Fung within the Pacific Place mall, Downtown core is perfect for afternoon shopping. 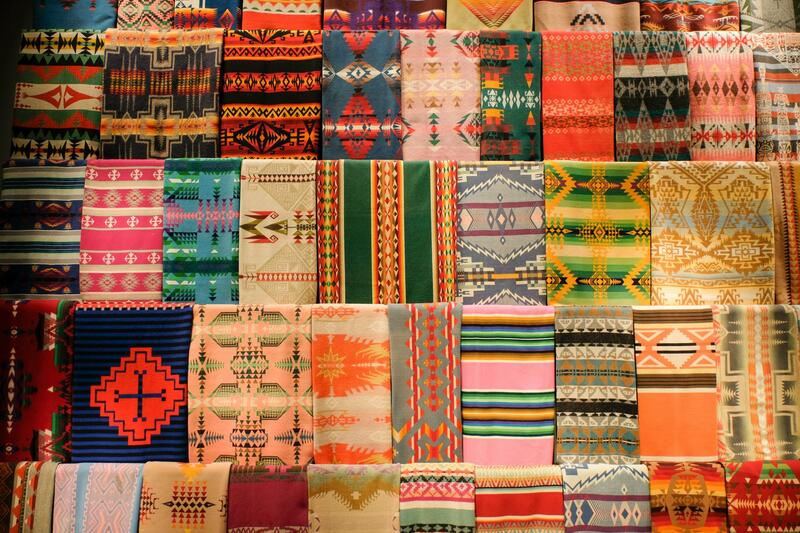 There are so many shops that you will literally shop ’til you drop. Let’s be real here, are you really on a trip if you’re not constantly eating??? 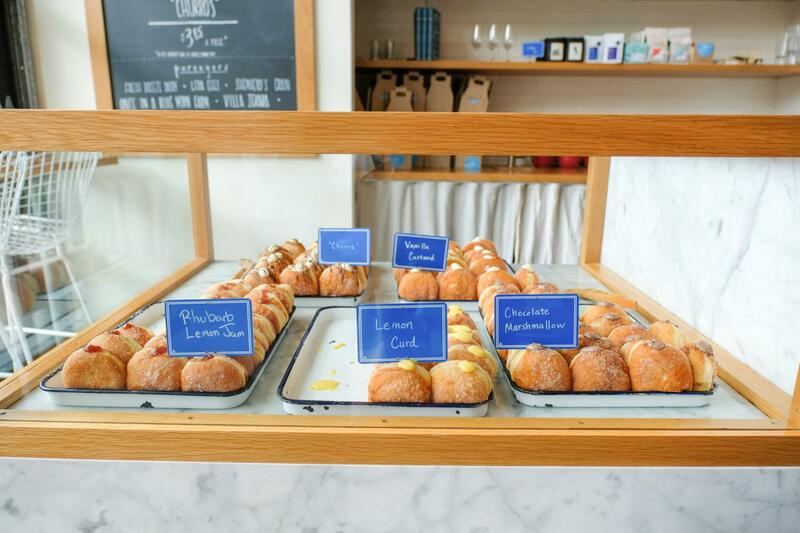 General Porpoise is hands down one of the best spots for doughnuts. These sugary desserts are divine of course, or I wouldn’t be listing them, but let’s talk interior. White marble counter tops? Tots IG-worthy! 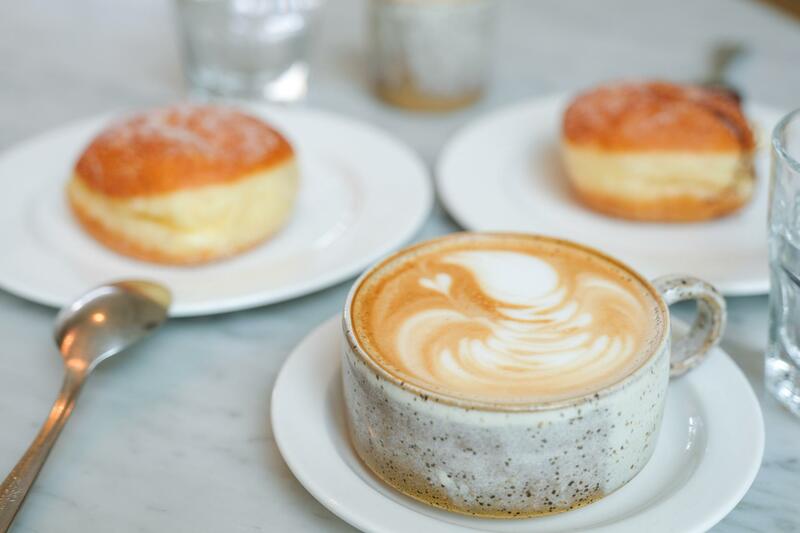 Cute café to chill at or better yet take these delicious treats to-go and enjoy them at a park under the gorgeous sun. 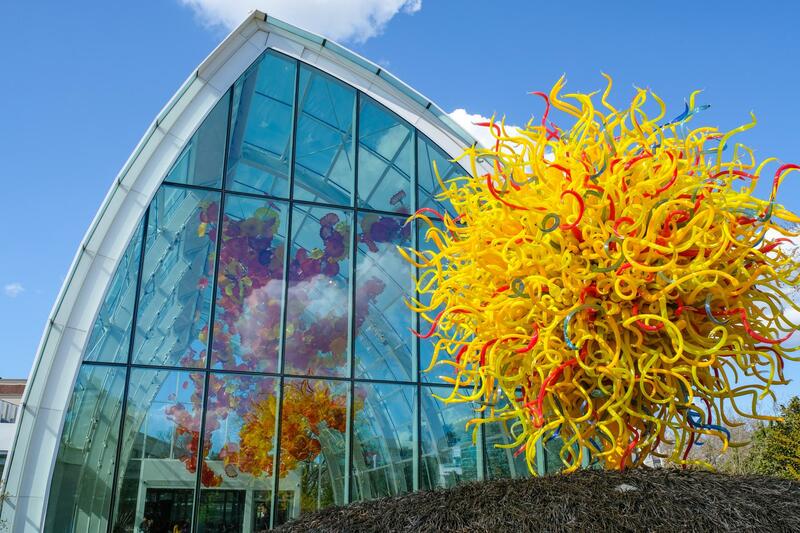 This museum showcases the remarkable work of glass sculptor Dale Chihuly from Tacoma, Washington. 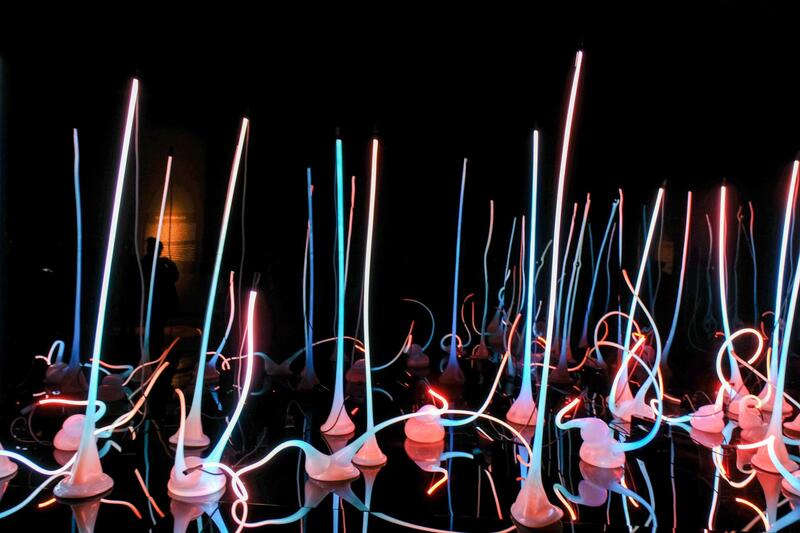 His art is included in more than 200 museum collections worldwide and they are considered unconventional in the world of blown glass. Not gonna lie though, some his pieces do look a lot like tentacles. I personally cannot stand anything without legs that crawl and tentacles are somewhat similar. I just… I just can’t. That is not to say I didn’t enjoy the exhibition though. 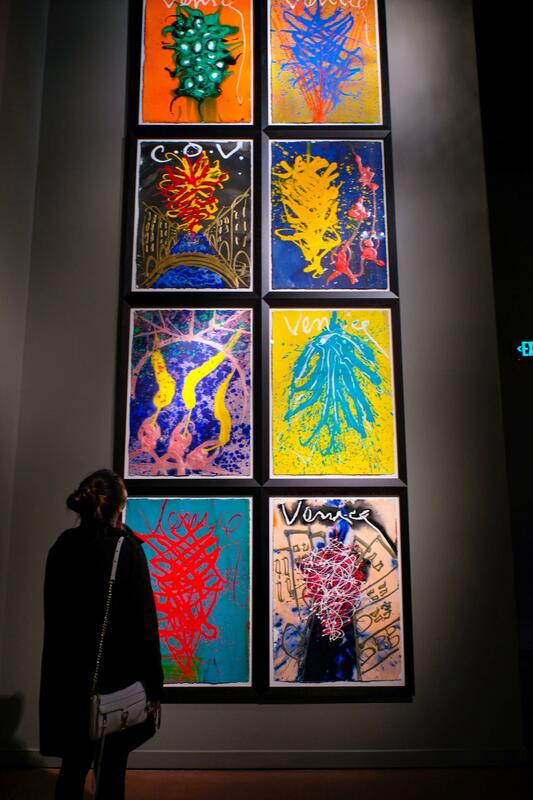 His use of vivid colors really bring the pieces to life and it blew my mind (hah notice the pun?) how he was able to shape and form something as hard as glass into these soft lines and curves. 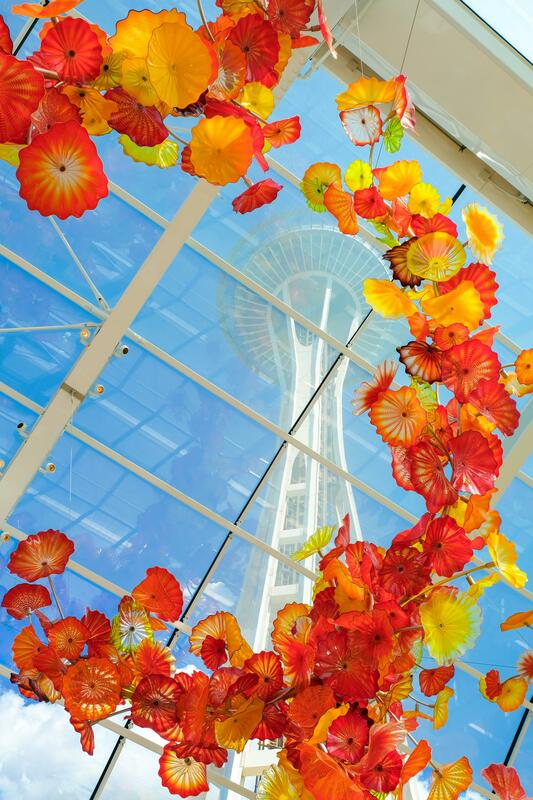 Located right beside Chihuly Garden and Glass is Seattle’s iconic Space Needle. It’s not like Toronto’s CN Tower or the Calgary Tower where there are glass-floor observatories. That said, it’s never been enticing enough for me to visit hence I’ve never actually been up myself. 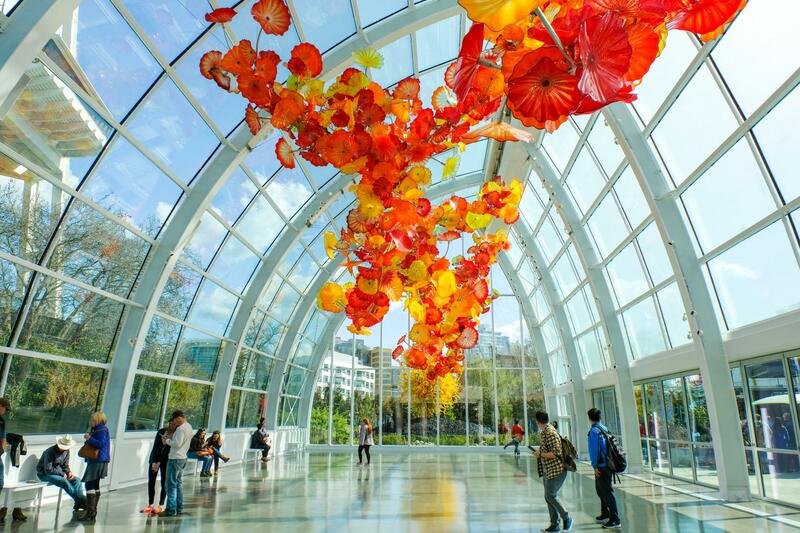 It is still a well-liked tourist attraction and if you are in the area for Chihuly’s exhibit and have some time to kill, why not? When it comes to observatory towers, I’m the kind of person who prefers to enjoy them from the outside. 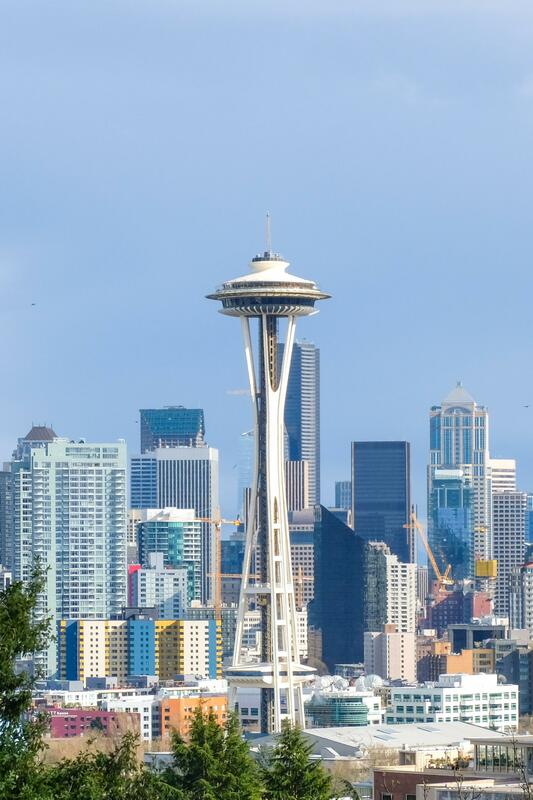 If you’re like me, Kerry Park has spectacular views of Space Needle and the Seattle horizon. Best thing is it’s free! 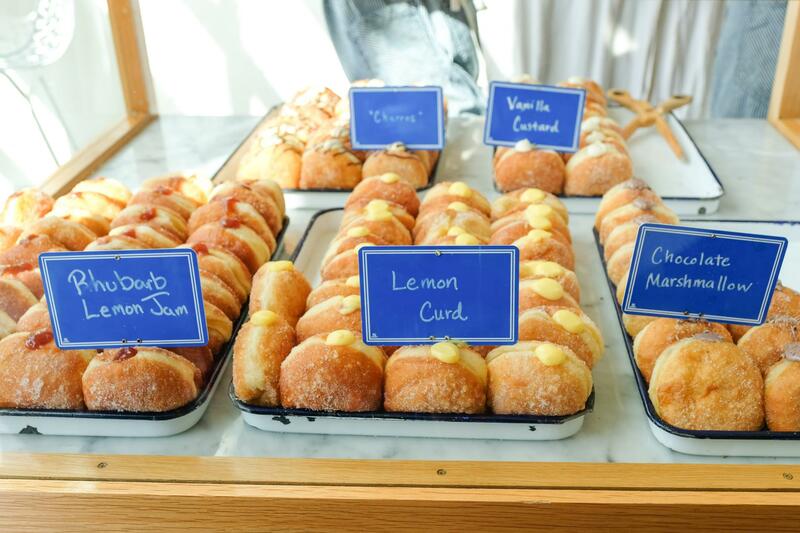 Bring those General Porpoise doughnuts here and you got yourself a beautiful afternoon of views and good eats. 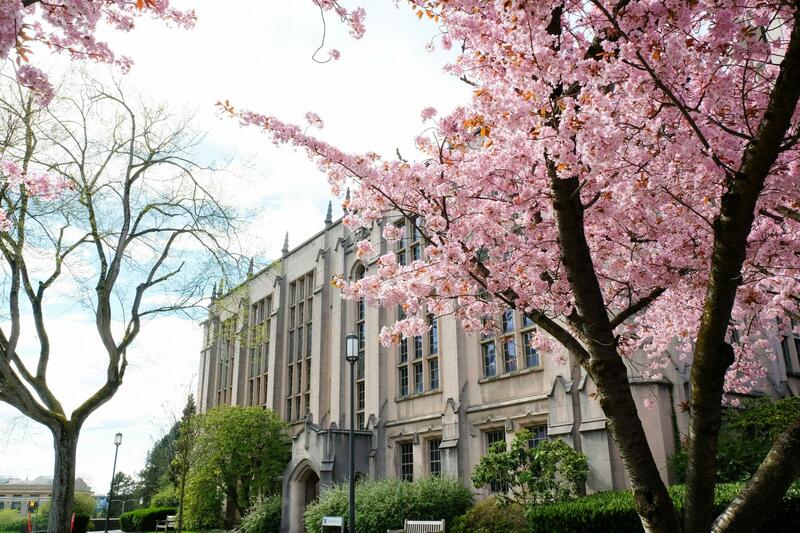 Last but not least, University of Washington. My dad is a UW alumni so I’ve been a couple times. 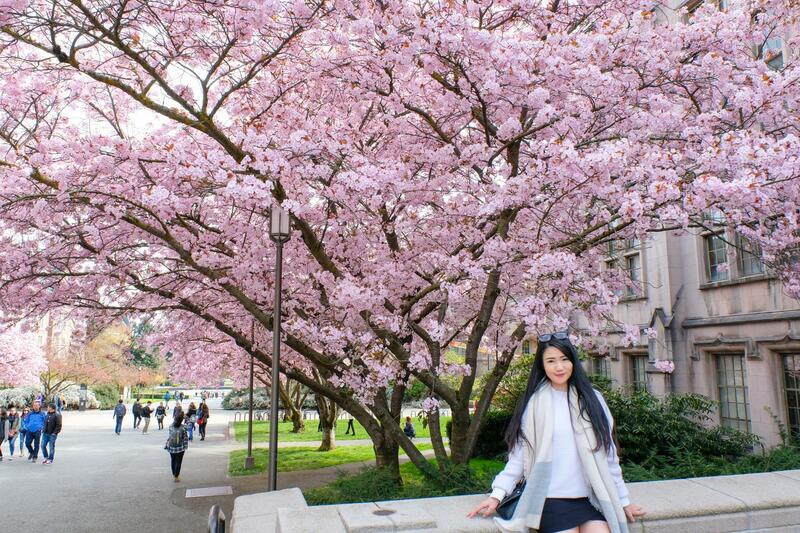 It’s not exactly a tourist destination but during spring time, they have the most gorgeous cherry blossoms. Now I know this itinerary is getting lengthy but a visit to UW would be dependent on what month you choose to visit Seattle. It is also a bit out of the way to get to if you’re not renting a car/driving so it’s not for everyone. Phew! Sounds like quite a busy one day in Seattle! I’ve planned this based on spring/summer seasons when the sun sets later (i.e. more time to explore). Lunch was included yes, but not dinner. 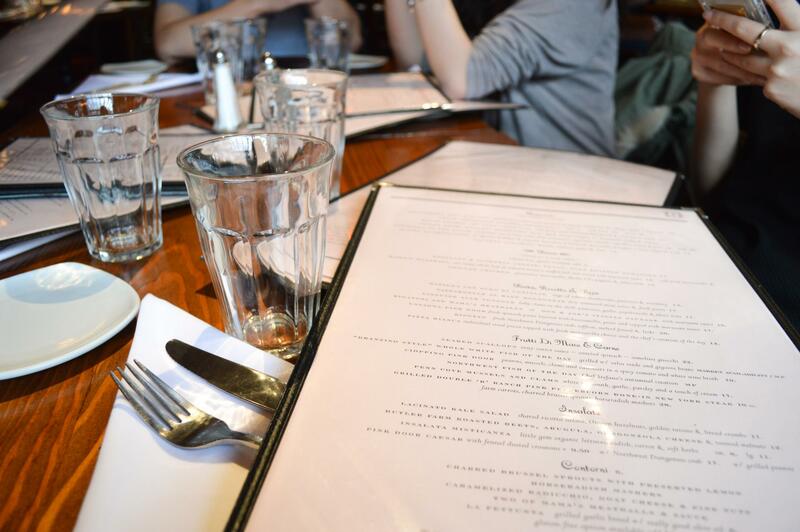 Depending on your trip, you may or may not have time for dinner. Plus, I believe I’ve provided enough food options for more than 3 meals here already hahahaa. Y’all be fine. Map created with Sygic Travel. Now doesn’t matter you’re driving down or arriving at the airport, I’ve tried to plan this as geographically efficient as possible so you’re not looping around the city. This is what I love about using Sygic Travel. You can add attraction sights to your trip itinerary and plan out your day based on geographic locations. Give them a try the next time you plan a trip. They used to be known as Tripomatic and I’ve been using their website services for as long as I can remember. Highly recommended! If you’re still looking for other things to do or places to dine at, feel free to check out my previous photo blog ≪Seattle Through A Thousand Frames≫. Otherwise, I’ll see you in next week’s post! Next Post Everything you need to know about Japan’s Fuji Shibazakura Festival. I love it! It’s funny that the public market all over US’ coast usually have the same font, the same color, and the same arrangements. Talk about familiar branding! And that list made it so easy to choose. Bravo! Great one day itinerary, saving for when I get to go! 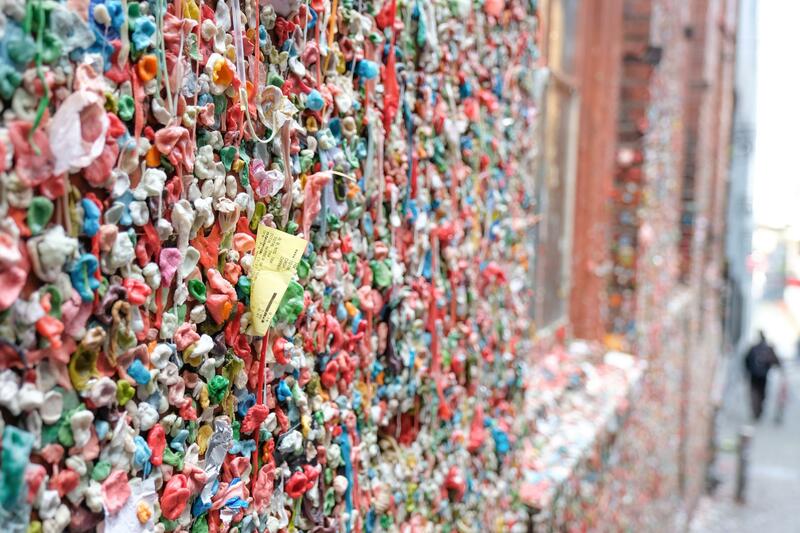 I’ve always seen the gum wall when people write about Seattle, not sure I’d actually want to go near it myself though! Glad you like it, Michelle! Hahaa I’ve been twice actually. The first time I got sick after (probably from all those germs) but I didn’t stick a gum on it so I returned a second time to do so. It’s really just one of those silly bucket list things that you do. I haven’t been to the American continent yet! But if and when I do, I’ll check out this list for sure! Too bad the mac & cheese wasn’t worth the wait! The gum wall is absolutely disgusting!!! 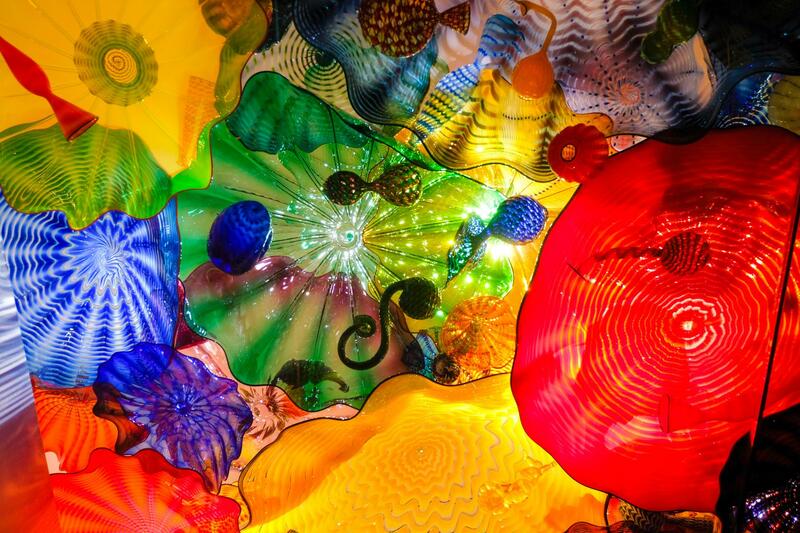 I’m a big fan of Chihuly and wouldn’t miss his Gardens! Oh no don’t get me wrong, the mac and cheese was delicious. I’m just not sure if it’s worth waiting 20 minutes in line for because it is just mac and cheese after all. That’s just me though. And didn’t know Grey’s Anatomy was filmed in Seattle! I’ve really gotta start watching that. 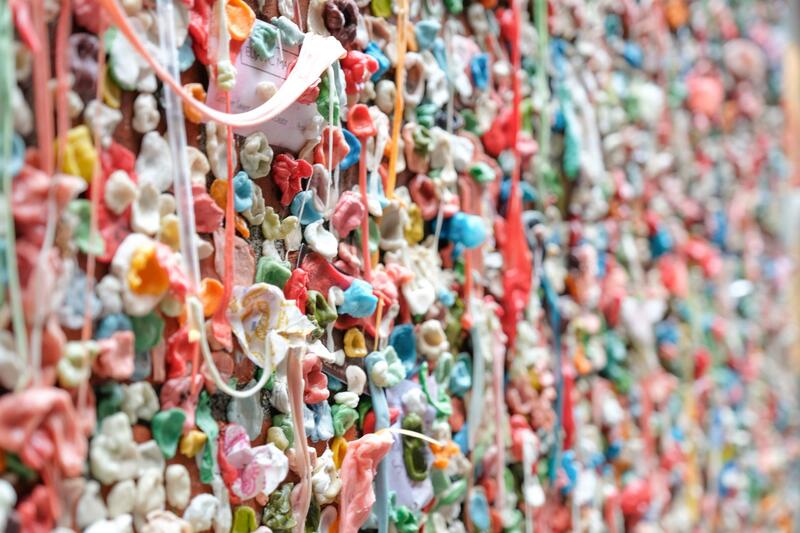 The chewing gum wall looks intersting and disgusting all at the same time!! My thoughts exactly! It’s so gross but kinda fun too hahaa. 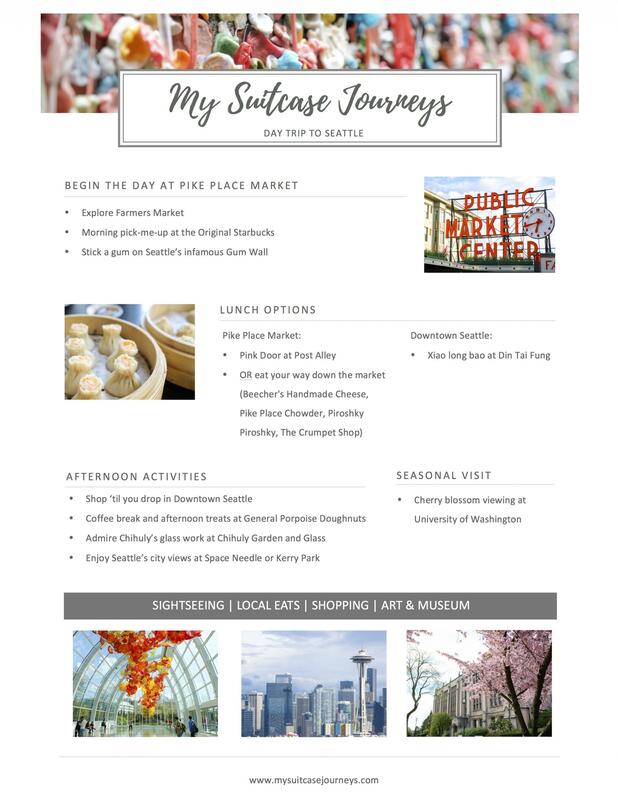 The fiance and I, a wee bit stressed with moving, new jobs, and wedding planning, have been talking about taking a short trip somewhere and I think we may just need to do Seattle! We’ve never been and it looks amazing! AND THAT MAC AND CHEESE. Thanks for the inspo and mini-guide!! Oh no, you guys definitely sound like you deserve a vacay. Seattle would be great if you’re not too far from there. That mac and cheese was pretty bomb (just not sure if I’d wait in line for it though). Glad you enjoyed my mini guide and best of luck with everything! I have only been to Seattle once in my life. It was a spur of the moment decision after spending about a week in Portland. 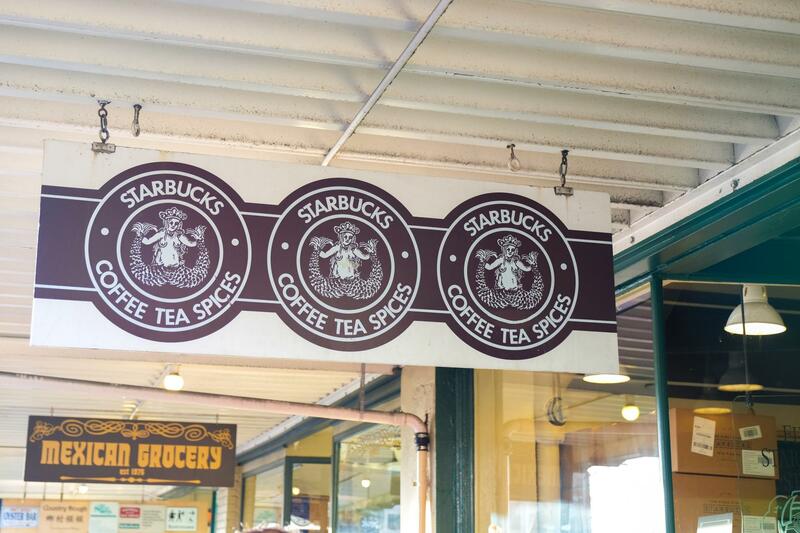 We did do Pike Place Market and the original Starbucks. However that gum wall sounds perplexing and something I’ll definitely have to see the next time I’m there. A week in Portland sounds UH-MAZING! Can’t imagine all the delicious foods and fun activities you got to try there. Thanks for stopping by the blog and have an awesome rest of your week, Nina! SOLD AT MAC & CHEESE!!! 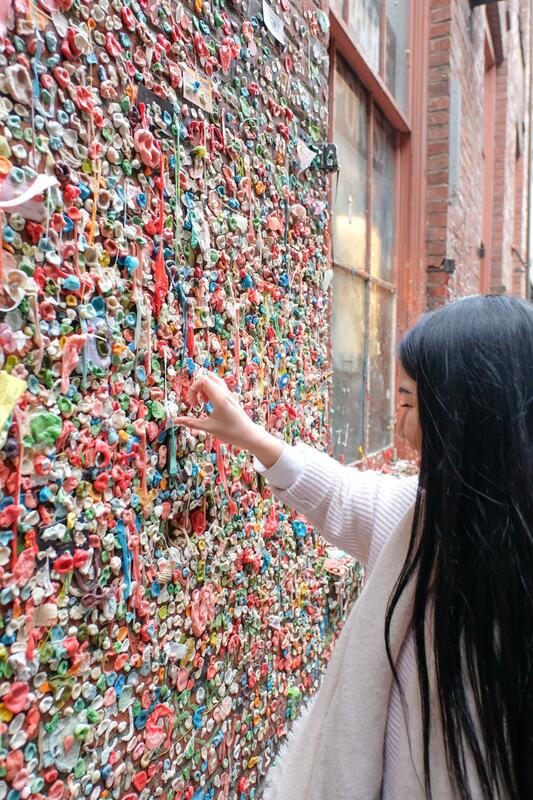 That gum wall looks disgusting, though! 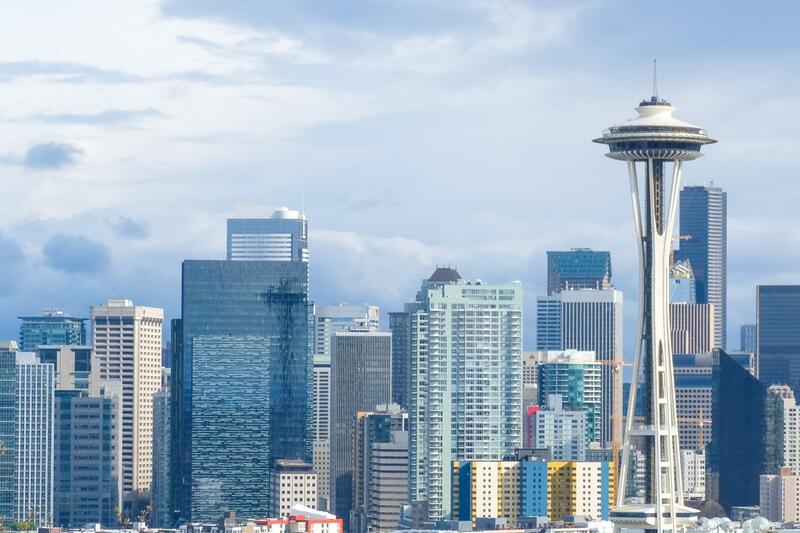 Seattle is definitely creeping its way up my list, and I’m planning to spend a lot of next year in Vancouver, so I’m sure I’ll make it there some time! You did a lot in 1 day. My type of itin! We just visited Portland, OR for the first time and had a blast! I hate we didn’t get over to Seattle on that visit! 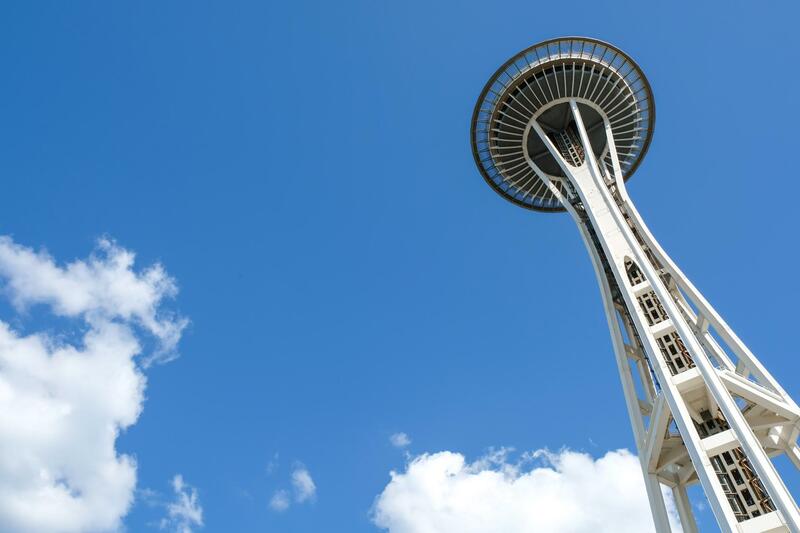 I have never been to Seattle, but it is definitely up there on the bucketlist. Love the pictures and variety in the places that you saw. I am especially into those dumplings. Yum! Those dumplings are the best thing mankind has invented hahahaa. They’re THAT good! 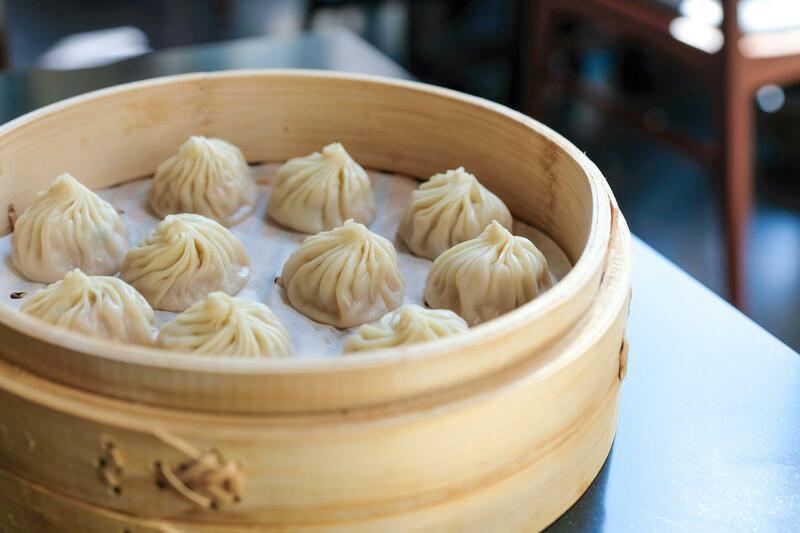 If you ever visit Seattle, I definitely recommend you giving Din Tai Fung a visit!! I’m so glad that I’m not the only one who wasn’t impressed with Beecher’s! Yes it was good, but no it’s not worth waiting in line for an hour to try it! This is the perfect post for people who are short on time and want to see it all. 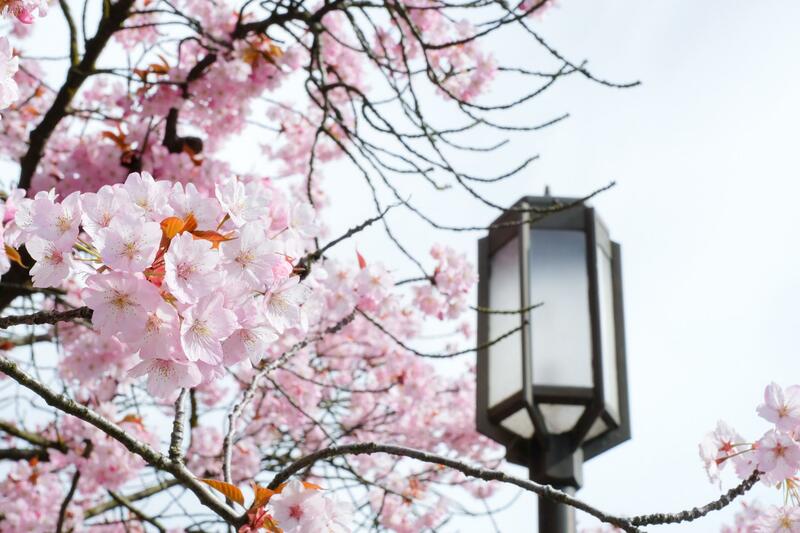 Seeing those cherry blossoms makes me want to go in the spring! Wow, such an interesting city to explore! Markets are definitely a place to go the first! And didn’t know about the original Starbucks. Seattle has some nice food and art. 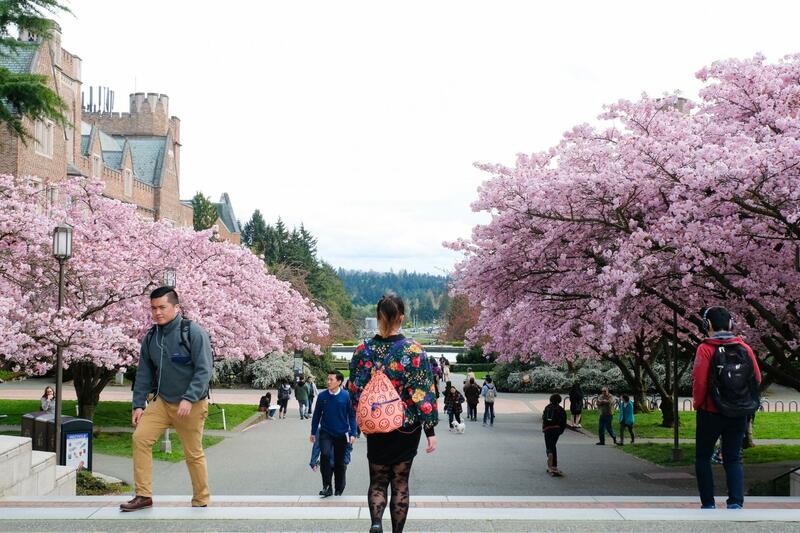 Also the University looks gorgeous with the pink trees around. 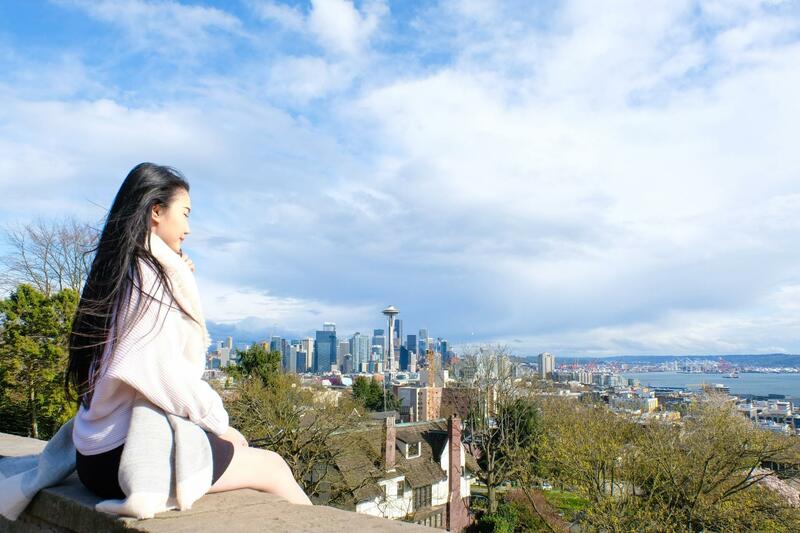 I’ve been thinking of going to Seattle for such a long time, and reading your post makes me want to go more. It’s so cool, and damn interesting to know more about this! I heard that about Miami’s installation too although only until after I came back from my trip there hahaa. 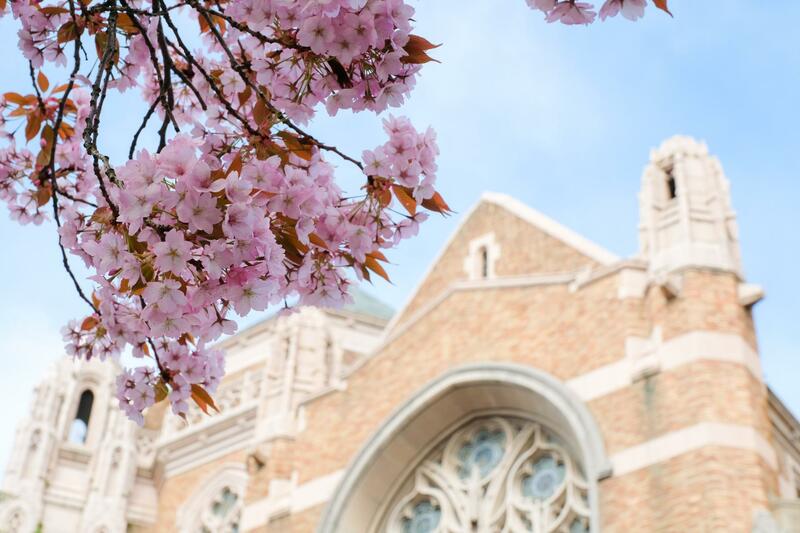 UW is actually quite a beautiful school even during the other seasons. And ughh the gum wall was pretty nasty. I was trying to stick my piece on without touching someone else’s and it was mission impossible. 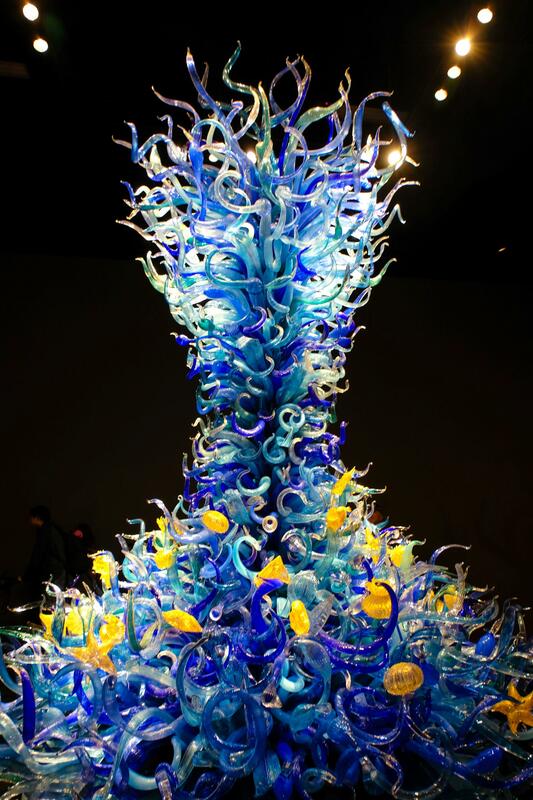 The gum wall sounds disgusting, but the glass museum is incredible! It looks like it would be worth the trip on its own! (although I don’t have a phobia of tentacles, haha!). I love all the food options you’ve suggested too. Great itinerary! Gum wall? Eeew! Hehehe! But the rest of the food is mouthwatering! Not gonna lie, I’m sometimes so tempted to just drive down to Seattle to eat lol! Seattle is somewhere I’ve never been but absolutely want to visit! Looks like such a fun city! It’s definitely fun if you haven’t been. It’s quite a small city though and I wouldn’t recommend staying for too long as you will run out of things to do fairly fast. A very useful guide. I like the fact that you have extensively covered food options also. Food is the important part of all trips. But many a times guides don’t include them, rather only the places to see. 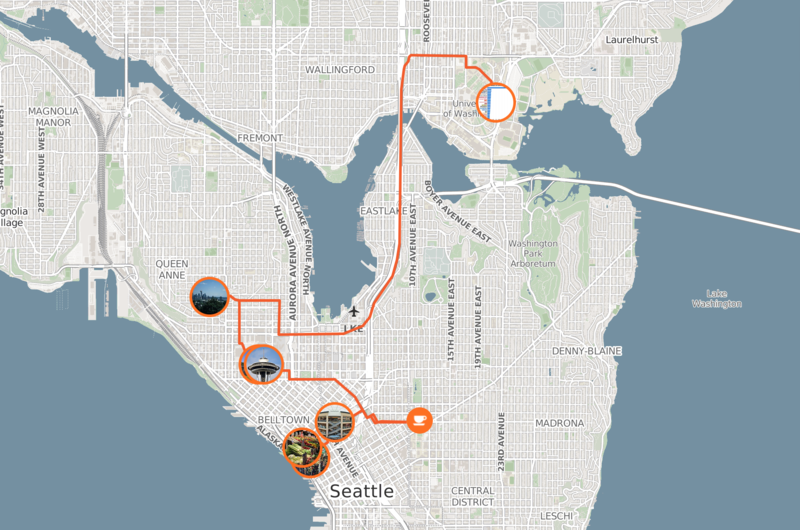 I have bookmarked it for when I get to visit Seattle. Your photos are insanely inspiring! I’m both fascinated and insanely grossed out by that gum wall. I saw this bubble gum wall on my friend’s Instagram a couple of days ago. It looks so weird to me. Do you know what’s the story behind this wall? There’s a movie theater nearby so people used to stick gum on the wall and put coins in the gum blobs and thus it became a tradition! Aww but I’m sure you have a lot of beautiful road trip destinations within NZ and I myself have been dying to visit actually! Hahhahaa we needa travel together. 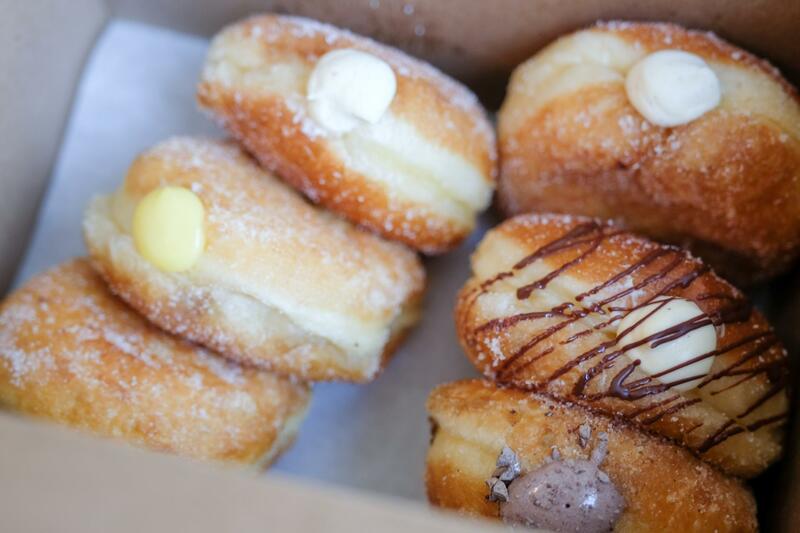 I felt soooo guilty ordering all those donuts lol! I’ve always wanted to visit Seattle. The west coast has been call me for awhile. You got me with the “gum wall” though!!!!! No words. But the food looks amazing. Definitely looking forward to planning a trip out west. Can I you tell me what camera and lenses you are using?